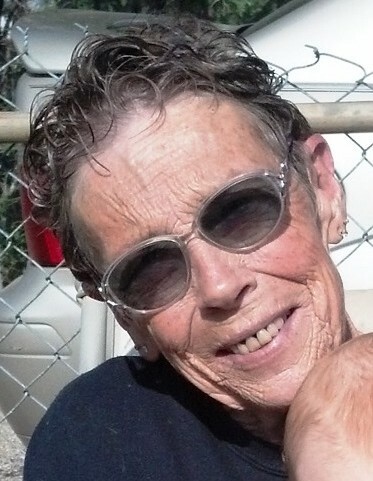 Trudy LaVrae Hand, 71, of Wolfforth, TX left this earth on April 9, 2019 in her home where she wanted to be. Trudy was born in Paducah, TX on June 26, 1947 to Billy and Pauline Hand. She graduated from Roaring Springs High School and went on to college at WT. She received an associate degree in Court Reporting & Legal Assistance from Lipert. Trudy worked for the USDA as a seed analyst then the Lubbock Police Department as a dispatcher. She went to the Police Academy and served as a police officer at Texas Tech University for ten years until her career was ended by a bad accident. She worked her way to Corporal and was nominated Woman of the Year in 1979. After the accident, Trudy pursued a career in the court system as a court reporter/legal assistant. Her first assignment was an internship with the Attorney General’s Office. She was immediately hired by Floyd Holder then went on to become the court coordinator for Judge Judy Parker where she remained until retirement in 2015. Trudy also worked for Richard Ladd & Laddex in Amarillo. Trudy loved to work in her yard doing “yard therapy” and enjoyed feeding and watching the birds. She loved her yearly visits from the hummingbirds. Trudy is survived by her only daughter Kristi Whitten and husband Jack, two sisters Kim Hand Watson of Lubbock, TX and Bonita Barton of Magnolia, AR, and one brother Kelly Hand of Lubbock, TX, three grandchildren, five nieces, two nephews, eight great nieces and nephews and many friends. Trudy was a widow and was preceded in death by her parents Billy and Pauline Gage Hand and both sets of grandparents. Funeral services will be held Friday, April 12, 2019 at 2:00 pm at the First Baptist Church in Roaring Springs, TX. Interment will follow at the Garden of Memories Cemetery at Paducah, TX under the direction of Zapata Funeral Home of Matador, TX.